Surviving summer with food allergies brings up some unique challenges, but it also can be a time for some amazing family fun. 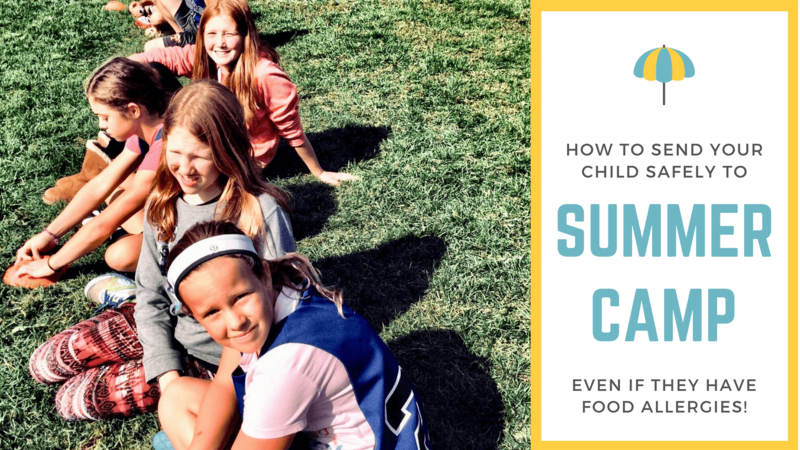 I want to share some of our favorite allergy-friendly summer camps, tips for handling playdates with friends who might not know about your child’s allergies, and ideas for recipes and summer fun activities! And, read on to find out how to enter ZEGO’s great summer fun giveaway starting June 21 with $250 worth of ZEGO and other allergy friendly products! For many people growing up, summer camp, or sleep-away camp, is a summer tradition, but what if you have food allergies? The good news is that there are some camps that cater to people with food allergies, the bad new is that there aren’t a lot. We donate bars to camps each year including Camp TAG and Blue Spruce and hope even more allergy safe camps will open. FARE also has a great list available to help you find an allergy safe camp near you. But realistically, most of you will need to see if you can make a regular camp allergy safe for your child. What percentage of your campers have food allergies? Are your cooks and all kitchen staff food allergy trained? If so, how? What are your protocols if a child does have an allergic reaction? Has that ever happened at your camp? What is the policy about other campers bringing snacks and food with them? Who keeps track of which child has which allergies at the camp? How do they manage that information? Are you ever in places that are not accessible to mobile signal for hikes, etc.? What are your protocols for that? FARE has great resources on how to make camp safe, so be sure to check their website for more suggestions. Another part of surviving summer with food allergies is being prepared with healthy options so you can enjoy all the new activities. You’ll need things that won’t get crushed in your pocket or backpack as well as items that will turn your “free continental breakfast” from a source of sorrow to a source of excitement! ZEGO bars are great for hiking and water activities because of their water-tight packaging and un-crushable soft texture. They also have the advantage of not melting on hot days. If you are looking for an allergy safe alternative to traditional trail mix with wholesome organic ingredients, then our new Mix-Ins have you covered! Mix-Ins are our brand new product that is a delicious blend of seeds and dried fruit. They are free of the top 14 allergens, gluten-free, vegan, and make an excellent grab and go option. Our packaging is corn-free as well. If you are part of a scouting organization, or other group activity, suggest Mix-Ins instead of trail mix for those groups as well so that you don’t have to worry about cross contamination. It is even priced the same as traditional organic nut-based trail mix, so it should be an easy switch for everyone to make! If you have dietary restrictions, Continental breakfasts can be a frustrating way to start your day. Turn that frown up-side-down by bringing Mix-Ins with you! Sprinkle them on whatever base you can have — cereal, oatmeal, yogurt, toast with a nut or seed spread — or just eat them straight out of the bag with fruit. You’ll get a gourmet, delicious breakfast instead of a bowl of sadness. Bonus: make sure you like our Facebook and Instagram because we are going to be doing a giveaway of a tote bag full of ZEGO snacks, Mix-Ins, a water bottle, COOLA sunscreen, vitamins, and more starting on June 21! We will announce all the details then. Now to keep the kids busy with fun summer activities! Programs at the park, gymnastics day camp, soccer skills clinics are all great opportunities to have another talk with your child about self-advocating, what to do if they have a reaction, and helping them feel confident in themselves. At school, there are usually teachers and other adults to help them, so summer may present their first opportunity to strengthen their self-advocacy skills without significant adult oversite. Of course, having a laminated card with all the essential information about their allergies is always a good idea, for kids and adults alike. Playdates at your house are another summer essential. That requires planned activities (lest the activity becomes painting your toilet with fingernail polish while you think to yourself, “the kids are being so quite, I wonder if I should check on them …”). One thing our family has always loved is having fun in the kitchen together baking and cooking (in fact, you will find a whole section on our website of recipes created by my daughter Kelsey). Kids love when they can make delicious foods that are safe for them to eat. And, it can be a fun way to involve their friends in the conversation about safe foods, cross-contamination, and food preparation. We put together some easy, fun recipes for you to use with our Mix-Ins. Mix-ins make a great addition to so many treats — from cookies to pancakes to granola brittle. Yes, I said brittle (YUM)! Download our FREE Mix-In cookbook full of recipes and ideas here. The nice thing about using Mix-Ins is that they make the most simple recipe seem gourmet, turning the every day baking into special occasion baking. What Are Your Favorite Summer with Food Allergies Tips? Now we want to hear from you–what are your favorite summer tips, activities, and strategies? 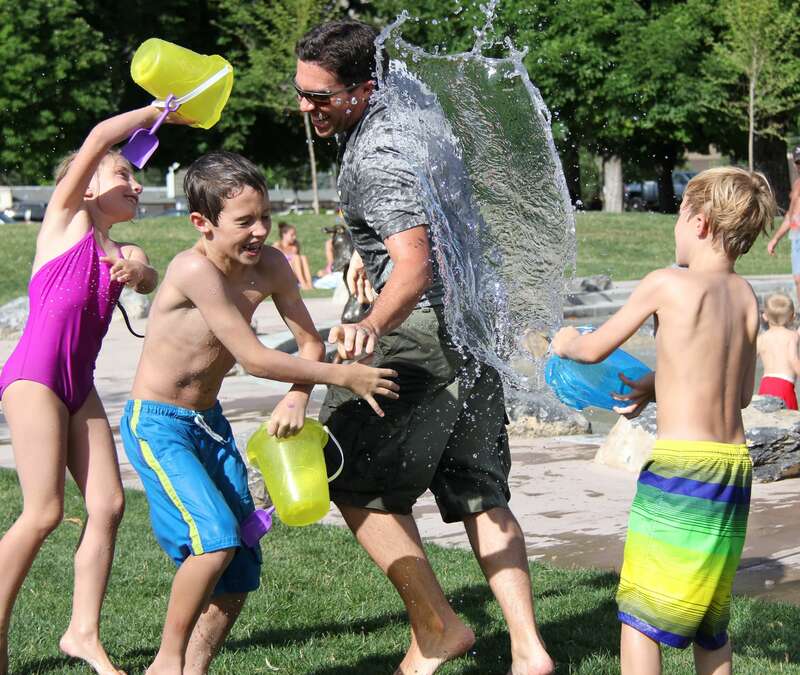 Do you know of other allergy friendly summer camps that aren’t on the FARE list? Parents newly dealing with food allergies will benefit from your wisdom and experience! Colleen Kavanagh is the founder and CEO of ZEGO. After a career in public policy working to improve nutrition for low-income children, she started ZEGO to provide superfood based snacks for people dealing with multiple food allergies. ZEGO is a certified B Corporation, and is working to bring transparency to the supply chain to improve food safety for all.